Now more than ever, B2B marketers are engaging prospects and fulfilling lead goals by running webinar programs. As with many areas of marketing, it is increasingly important to be able to measure, track and report on webinar programs so their value can be accurately quantified and communicated. 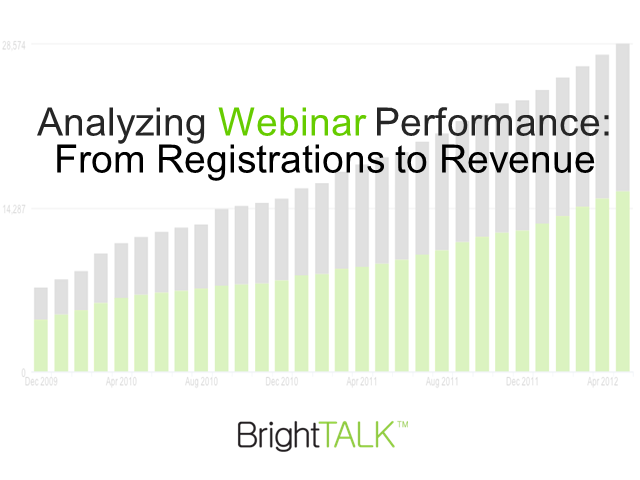 Join David Kreitter, Demand Generation, BrightTALK, as he discusses the strategies and best practices his team is using to measure and analyze the performance of over 700 webinars being viewed by a community of 100,000 marketers.